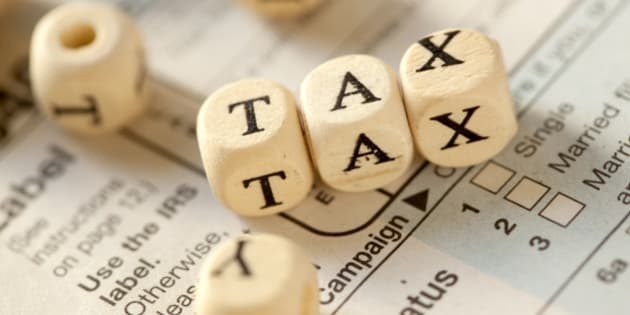 There are many tricks -- most of them currently legal -- multinationals use to avoid paying taxes in developing countries, including a tactic called "profit shifting." This often leads struggling families in the developed world paying more in income tax than international businesses. In her little shop in Accra, Ghana, Marta Luttgrodt works 12 hour days, seven days a week, to pay fees to put her two kids through school. Her neighbour, a brewery owned by multinational beer baron SABMiller, looms large; its shadow is a constant reminder that education might be more affordable in Ghana if international businesses paid their fair share of taxes. Even though she only clears $400 a month, Luttgrodt pays more in income tax than world's second largest brewing company. According to international aid and advocacy organization ActionAid, which documented Luttgrodt's story, SABMiller exploits loopholes in local and international tax rules to hide its profits and avoid corporate income taxes in Ghana and other African nations. SABMiller has countered that it pays significant excise and value added taxes. Nevertheless, ActionAid estimates the company deprives African governments of more than $36.5 million a year -- enough to send 250,000 students to school. SABMiller is hardly the only one taking advantage of loopholes. Oxfam says sub-Saharan African nations lost $63 billion a year to corporate tax avoidance from 2008 through to the end of 2010 -- more than double what they received in aid. That avoidance isn't just depriving governments of revenue. It's depriving children of education, pregnant mothers of healthcare, and infants of life-saving vaccines. There are many tricks -- most of them currently legal -- multinationals use to avoid paying taxes in developing countries, including a tactic called "profit shifting." Dennis Howlett, executive director of Canadians for Tax Fairness, described how a multinational in Zambia mines copper, and then sells the copper to itself at fire-sale prices through a subsidiary in a tax haven like Switzerland. The subsidiary resells the copper, but the profits don't show up on the Zambian company's books, so it pays little or no taxes. Faced with tax losses, and cutbacks in aid from rich nations, developing countries struggle to meet their Millennium Development Goals by next year. The MDGs are a 15-year plan set to expire in 2015 that were meant to create positive change on eight major subsets of global poverty, such as equal access to education for girls, and maternal and child mortality. Each developing nation sets its own goals based on the MDG overall targets, and rich nations support them with aid funding. Great progress has been made globally, like halving the number of deaths of children under five. But progress is stalling for lack of funds. In Ghana, at the start of the millennium, out of every 1000 children born, 111 died. Less than a third of women had more than a primary education. In the early 2000s, the MDGs inspired a burst of programs that significantly reduced child mortality and increased girls' enrolment in school. But the recession applied the brakes and Ghana is still far short of meeting its goals for saving childrens' lives and achieving equal education for girls. Meanwhile Zambia is only on track to meet one of the eight MDGs--reducing HIV and AIDS. The Organization for Economic Cooperation and Development (OECD) says it would take $120 billion more a year in international aid to meet the MDGs by next year's deadline. With the global economy still fragile, the chances of that happening are slim. Some of the gap shortfall can be filled by closing those tax loopholes. The OECD has proposed reforms to the international tax system, which Howlett says "are surprisingly good." The proposals include tougher rules to stop companies from moving assets around to hide profits (like the Zambian copper), forcing corporations to report their earnings and taxes in every country where they do business, and a global information exchange where countries tell each other about all companies set up by their citizens. To help fight profit-shifting, Canada must fix its business registration system. According to Howlett, Canada's patchwork of federal and provincial systems for registering companies creates less transparency and makes our nation one of the easiest places in the world where multinationals can set up shell companies to hide profits. And there's another idea to make rich international businesses pay their fair share: a Financial Transaction Tax, or "Robin Hood Tax." It's a tax of less than one per cent on financial deals like trading stocks and bonds and uses the money to fund development. It impacts high speed traders, but not ordinary consumer financial products like RRSPs. At the end of April, eleven countries of the European Union voted to implement a Robin Hood Tax that is expected to raise as much as $87 billion. Just five per cent of that would be enough to pay for one million new nurses in Africa. Benjamin Franklin famously said: "In this world nothing can be said to be certain, except death and taxes." But making big business pay its fair share of taxes could bring Luttgrodt, and many families like hers, the certainty of health care and education.